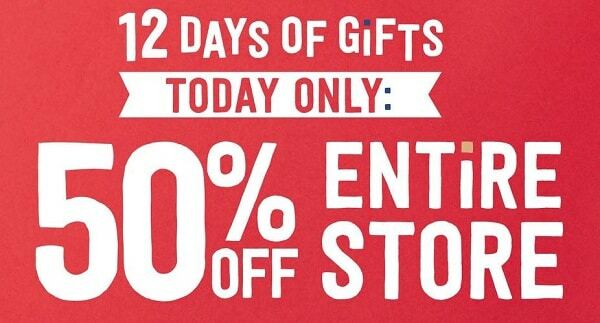 Today only, 12/5, at Crazy8 save 50% on the entire store! That means everything on the site is half off! This is definitely an awesome chance to stock up on clothes and accessories for your kiddos. I spotted long sleeved shirts for my girls for only $5.44 each! Shipping is FREE on orders of $50 or more, otherwise it is a flat $6.